Join us for our most rewarding fundraiser of the year, Birdathon! Count birds as a team, attend a birding trip, or make a donation to support our chapter’s conservation, education, and advocacy work. Whether you are just getting started or an avid birder, everyone can make a difference for birds this year by taking part in this exciting event. Flock with us this May! Birdathon is like a walkathon, a bike-a-thon, or dance-a-thon. It’s a way to put the fun in fundraising by getting lots of people excited about conservation. Like a walkathon, participants gather pledges from friends, family, work colleagues, and others who want to help Eastside Audubon keep providing the great programs we offer the community. Instead of getting a pledge of $1.00 per mile walked, bird enthusiasts ask for a pledge for each bird seen by a person or team. Audubon chapters all over the country hold this entertaining and creative event during the month of May. There are many ways you can participant in this important event. By joining a team, attending a field trip, or making a donation, your support is helping to fulfill our mission to protect birds and the places they need to thrive. Interested in joining one of our Birdathon teams or creating your own team to benefit Eastside Audubon? We have a registration form to help get you started. 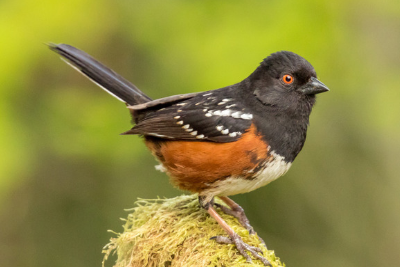 Eastside Audubon will provide you with rules for the event, a pledge form, and a species checklist to set you up for a successful Birdathon. May is brimming with opportunities to see spring and summer bird species returning to our natural areas. Participate in guided walks by expert birders sharing their knowledge and bird identification skills to help raise funds for Eastside Audubon. No time for birding? Don’t worry! You can still make a difference for birds today by making a pledge in support of your favorite team or a donation towards our goal of $38,000!